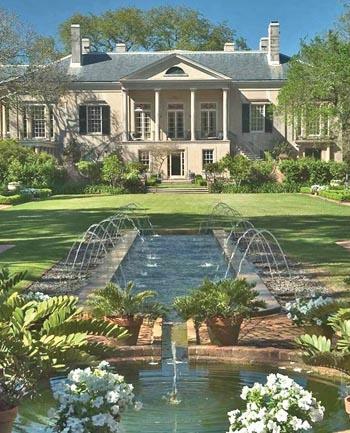 Longue Vue House and Gardens, a National Historic Landmark, is one of the last Country Place Era estates to be built. Built from 1939-1942 for philanthropists Edgar Bloom Stern, of New Orleans, and his wife Edith Rosenwald Stern, of Chicago. The combined work of renowned landscape architect Ellen Biddle Shipman and architects William and Geoffrey Platt created a complete unified plan for the main house and dependences along the eight acre site. Decorated with European and American decorative and fine arts pieces each room was designed to look out and allow egress to a different "garden rooms" blending effortlessly inside and out.